In 2015, Sawgrass launched the Virtuoso HD Product Decorating Solution raising the bar for the entire sublimation industry with the first line of desktop printers engineered specifically for sublimation. 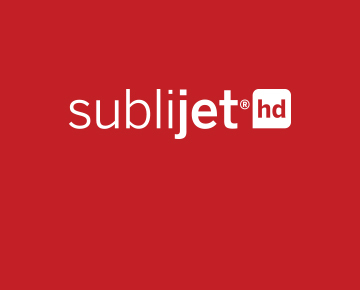 During the same year, Sawgrass also created a new formulation of SubliJet inks, SubliJet-HD, that contains a greater concentration of dye solids to complement the new line of purpose-built, dye sublimation printers. In January of this year, Sawgrass followed this industry redefining product launch with another significant innovation – Virtuoso Print Manager. Virtuoso Print Manager includes all the great features of PowerDriver that allow Sawgrass customers to get the right colors for their prints with just a few simple clicks on their Windows OS platform, plus new production features found in popular RIP programs and Mac OS X compatibility. With Virtuoso Print Manager, customers can now directly upload image files for print, create and use hot folders, utilize the auto print setting and group multiple designs into a single print job, saving time and money. Why Move from PowerDriver to Virtuoso Print Manager? Virtuoso Print Manager is the core component of the Virtuoso HD Product Decorating system giving customers complete control over color management and ensuring the most consistent and accurate colors in the industry. Virtuoso Print Manager is uniquely customized for all Sawgrass Virtuoso Printers – the SG400, the SG800 and the VJ 628. Virtuoso Print Manager completely replaces PowerDriver which will no longer be available for download after December 31, 2017. Compare the features of PowerDriver and Virtuoso Print Manager in the table below and you will see that now is the time to upgrade! If you are a Virtuoso user who currently uses PowerDriver, simply visit our website for instructions on how to download and install VPM to your PC or Mac. You can also find videos, tutorials and other support resources on our Using Virtuoso Print Manager page. If you already have VPM installed on your computer, you can download and install the latest version by clicking on one of the green buttons in the sidebar of the installation page. Also, keep an eye out for update notifications when you sign onto your computer, and install updates when available. As always, Sawgrass Technical Support is available to help you with any issues or questions you may have. For help with SG400 or SG800 printers or software, visit http://sawgrassink.com/Portal/Tech-Support/Tech-Support-Pages/SubliJet-HD/Contact-Support-Virtuoso.aspx. For help with VJ 628 printers or software, visit http://www.sawgrassink.com/VJ-628-Support.aspx.